One Room Challenge: Week 6 - The Reveal! It's finally here! The final week of the One Room Challenge, and my home office reveal! These last 6 weeks have flown by. I've never decorated a room of my house so quickly before. There's still more I would like to do, but I'm extremely impressed with what I was able to accomplish for now. The room definitely needs more layers but I know that they will develop organically over time. Enough talk, let's get to the pictures! I've provided a source guide at the end of the post. If you're just joining or want a recap, start at Week 1 here. I love my new West Elm desk! It was my one splurge in the room and was definitely worth it. The Louis ghost chair replica is also new, and was an incredible price - only $79. I didn't like the original chrome colour of this lamp so I spray-painted it. But it didn't turn out the way I wanted it to so I may re-do it in polished brass. Turns out it's hard to fake the antiqued look. I can't believe I was going to get rid of this chaise. I had it listed for sale on Kijiji for about 3 days before I realized I could use it in the space. I'd like to recover it one day (the upholstery is in terrible shape) but I like the bold hit of colour it adds to the space for now. Those prints you see framed on the wall behind the chaise are by Jessica of The Aestate. I had the frame for a year and couldn't decide what to put in them until I realized that these banana leaf prints would be perfect in the faux bamboo frame. The prints were not available in the size I needed for the frame, but Jessica kindly customized the size for me so that they fit perfectly. This is my coffee bar area and it isn't finished yet, but I was able to "borrow" this kitchen cart from my kitchen temporarily until I find something more permanent for my home office. I originally had a base cabinet with marble countertop in mind, but now that I see this piece in the room, I think I'd like to get something similar - I like the butcher block top, it adds warmth to the room, but I think I would prefer a white bottom. 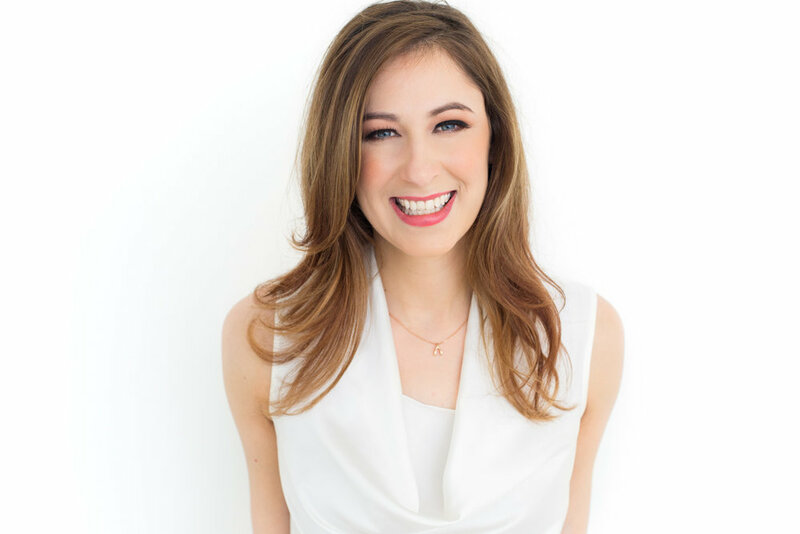 I hope you've enjoyed following along with my home office makeover! I've had a lot of fun working on it and sharing my progress with you. Thanks so much to Linda from Calling it Home for creating the One Room Challenge and for hosting the linking party for us linking participants, it's been a great source of motivation and inspiration. If you missed it yesterday, make sure to visit Linda's ORC reveal here, along with the other 19 professional bloggers/interior designers who revealed their spaces yesterday. And don't forget about the other linking participants! Again, link back to Linda's blog for their reveals. I'm so impressed with all their work. I had the pleasure of making some new friends along this journey, thanks to all who left comments and encouraged me along the way. I hope you'll stick around even though the challenge is over - follow me on Bloglovin so you don't miss any updates, and follow me on Instagram for updates in between blog posts. It's Thursday, and you all know what that means...time for a progress update on my One Room Challenge home office makeover! I can't believe we're in Week 5 already. If you are new to my blog and need to catch up, here are Weeks One, Two, Three and Four. 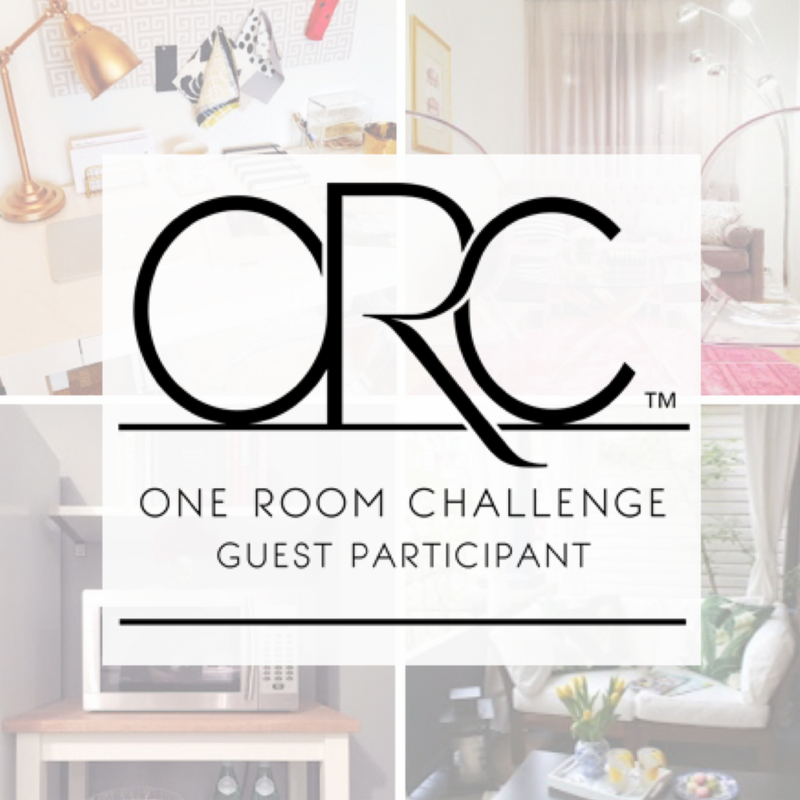 Before I go on, I need to give humongous thanks to Linda from Calling it Home for creating the One Room Challenge and for inviting designers and bloggers outside of the main 20 challengers to be a part of the action through the linking party. It's introduced me to so many new people who share my passion for interior design, and has kept me motivated and focussed on getting my room completed. I also want to thank everyone for stopping by and leaving such lovely comments, whether on this blog or on Instagram. Since next week is the reveal this is the final week to get things done. It's crunch time!! Those lovely fabrics you see above arrived in my mailbox from Tonic Living yesterday. I'll be covering my corkboard with the light grey Greek key fabric and I think I'll make a pillow cover out of the blue ikat fabric. The ikat fabric was an unplanned bonus and I selected it on impulse as I was placing my order for the Greek key because it was either I pay the shipping cost for one fabric alone, or buy more fabric that costs the same as the amount to reach the free shipping order minimum. I'm so happy with these fabrics - you never know what you're going to get when you order online, and fabrics are the kind of thing you want to feel first before you buy. These Tonic Living fabrics far exceeded my expectations - they are of great quality and they look beautiful. I had not just one but two surprises waiting for me in my mailbox yesterday! My custom-sized prints from Jessica of The Aestate arrived! They shipped so quickly that I haven't even finished painting the frame I'm going to put them in, so no photos of that just yet, but you can see the prints and the unpainted frame in last week's post. Now that I'm actually making a list of what's left to do...it doesn't seem like all that much, does it?! Oh, and I forgot to mention that the chair I ordered last week is supposed to be arriving today, so I'll have to pick that up from the store this week. I had my heart set on a comfortable, white office chair on wheels, but couldn't find one as good as the one that got away, so I opted for an imitation Philippe Starck Ghost Chair in the meantime because I know that I'll be able to repurpose it somewhere else in my home once I do find the perfect office chair. I hope that you will visit the other challengers in the linking party and see how their rooms are progressing! 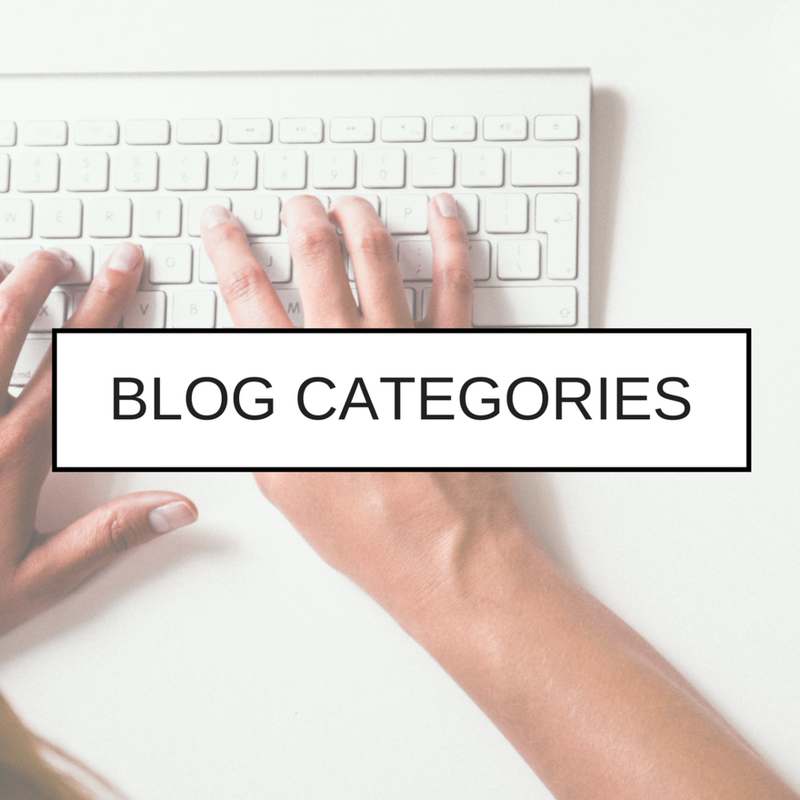 You can find links to all 70+ decorators, designers, DIYers and bloggers on Linda's blog. Make sure to check back next Thursday to see the completion of #projecthomeofficemakeover! The space that I'm turning into my home office was my master bedroom up until last Friday when I finally moved my bed into my home's second, smaller bedroom. My new West Elm desk was set up a few weeks ago, but now that the bed is out of there the desk really stands out and it's starting to look more office-y and less bedroom-y. I also moved a chaise into the office, which wasn't part of my original design plan, but it looks phenomenal! It's just the right size and style for the space. I had initally posted it on Kijiji but took the ad down 3 days later once I realized I could incorporate it into the office, which I'm very happy about because I've had it for two years and never really used it. It needs reupholstering but it's so damn comfortable that I can live with the big hole with foam poking through a little while longer. I also moved my IKEA Expedit shelving unit from the TV room into the office. Now that I've updated you on the progress I've made, I'd like to talk about accessories and other little things I plan on putting in the office. I've been collecting things over time (a few of which are shown in the picture above); the only new purchase I've made recently being the acrylic office organizers from CB2 (pencil cup and small stackable trays). Most of the items I'll use or display in the office have been somewhere else in my house over the last few months or even longer, and I'm now corralling everything together. I'm doing a bit of that "hunting my home" technique, if you will. ...And then it hit me! These Beverly Hills Hotel-inspired watercolour prints by Jessica of The Aestate! I was heartbroken when I saw that they were only available in a 20"x30" size, but I contacted Jessica to see if she would customize the print to the size I need to fit the matting in the frame, and isn't she a sweetheart because she got back to me right away and was able to accommodate! Love her!!! While I'm waiting for my prints to arrive, I'm painting the frame white. I already have Jessica's gold heel print, that's also going in the room. I wanted a neutral colour so that the images and inspirational things I pin to the board will stand out, but I still wanted the fabric to have a little pizazz on its own so I went with a Greek key pattern in grey and white. I think that's enough for this week. Please click over to Linda's blog and visit the other One Room Challenge linking participants, there are some amazing transformations going on! Click here to jump to Week 5 of my ORC home office makeover.